Off Road Training … loved it ! Well, this past weekend we spent in South Wales at the BMW Off Road Skills Enduro Park. Was so much fun and the guys there taught us excellent basic skills for off road riding. The first day was nice and sunny and I was on a F650GS (Twin). Part 2 will follow soon … subscribe to my twitter, our facebook group or my youtube channel for updates on our trip. 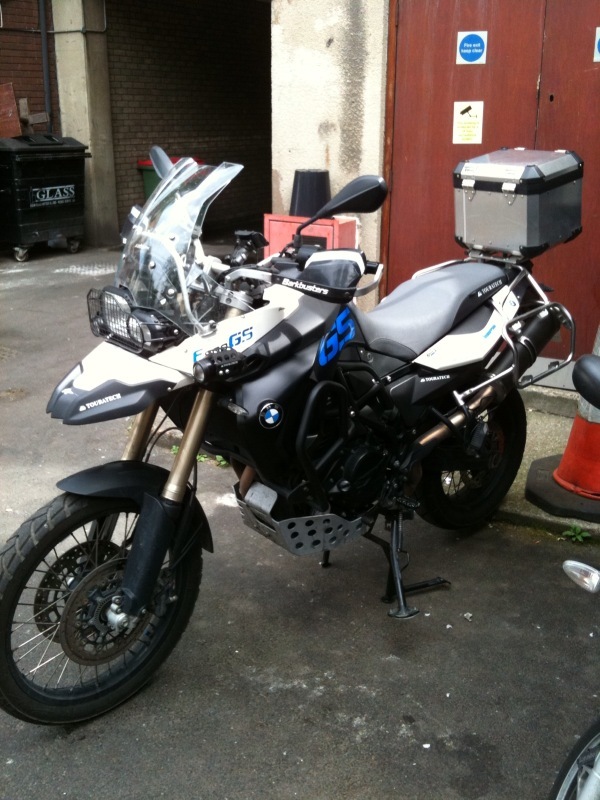 Google results : London to Cape Town Motorcycle ! Everything so far is still on track, we only have around 4 months left and time flies … all visas still need to be applied for, all travel jabs needs getting .. pretty much everything still needs organizing, so much to do and not a lot of time. I have to admit, it does feel like we are not doing much and I think we better get things moving. There is one thing on my side that is working well and that is my savings. I have saved £3000 so far and with 4 months left, it will nicely take me up to my target of £7000. I have also re-sprayed my bike … it is now White and no longer Sunset Yellow. At first I didn’t like it too much, but its growing on me and it’s something different. There are some people who doesn’t like it, especially over in the ukgser.com forums, mainly because I have stickers on the bike from the equipment I use, but I am not worried, Who cares what they think anyway! Another thing to note, my plans have slightly changed … since I only got 2 months off work, I am skipping the whole Europe side of the trip as I can always do that again and have done Europe before, so I am heading straight down to Italy/Sicily 3 days before the other guys get there, saving me about 3 weeks, I just hope I can make Cape Town in the 2 months .. might be a big push !